In this article operating system, processing, processor, real time, software, hardware, System Software, Application Software. Programming, Engineering, Scientific Software, Product, Product-line, Utility, Life Cycle, coding, Design, Database, Management, System, Database Management System, Enterprise Resource Planning, Computer Memory, RAM, ROM, PROM, Banking Software, cash management etc have been discussed. let's see the detail. 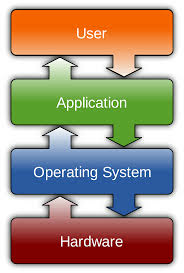 The operating system is the most important program that runs on a computer. Every general￾purpose computer must have an operating system to run other programs. Operating systems perform basic t asks, such as recognizing input from the keyboard, sending output to the display screen, keeping track of files and directories on the disk, and controlling peripheral devices such as disk drives and printers.  Multi-user: Allows two or more users to run programs at the same time. Some operating systems permit hundreds or even thousands of concurrent users.  Multiprocessing : Supports running a program on more than one CPU.  Multitasking : Allows more than one program to run concurrently.  Multi threading : Allows different parts of a single program to run concurrently. and UNIX, are not real-time. Most desktop or laptop PCs come pre-loaded with Microsoft Windows. Macintosh computers come pre-loaded with Mac OS X. Many corporate servers use the Linux or UNIX operating systems. The operating system (OS) is the first thing loaded onto the computer without the operating system, a computer is useless. More recently, operating systems have started to pop up in smaller computers as well. If you like to tinker with electronic devices, you're probably pleased that operating systems can now be found on many of the devices we use every day, from cell phones to wireless access points. The computers used in these little devices have gotten so powerful that they can now actually run an operating system and applications. The computer in a typical modern cellphone is now more powerful than a desktop computer from 20 years ago, so this progression makes sense and is a natural development. Difference between Hardware & Software. Devices that are required to store and execute (or run) the software. Collection of instructions that enables a user to interact with the computer. 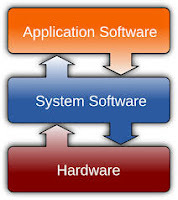 Software is a program that enables a computer to perform a specific task, as opposed to the physical components of the system (hardware). Input, storage, processing, control, and output devices. CD-ROM, monitor, printer, video card, scanners, label makers, routers, and modems. Quickbooks, Adobe Acrobat, Winoms-Cs, Internet Explorer, Microsoft Word, Microsoft Excel. Hardware serve as the delivery system for software solutions. The hardware of a computer is infrequently changed, in comparison with software and data, which are “soft” in the sense that they are readily created, modified, or erased on the compute. To perform the specific task you need to complete. Software is generally not needed to for the hardware to perform its basic level tasks such as turning on and responding to input. Hardware starts functioning once software is loaded. To deliver its set of instructions, Software is installed on hardware. Hardware failure is random. Hardware does have increasing failure at the last stage. Software failure is systematic. Software does not have an increasing failure rate. Hardware wears out over time. Software does not wear out over time. However, bugs are discovered in software as time passes. Hardware is physical in nature. Software is logical in nature. 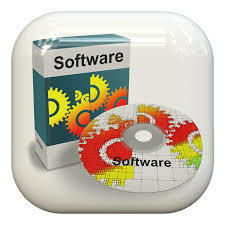 There are many types of software and this is increasing with the development of technology. Some of these types are described below. It helps in running the computer hardware and the computer system. 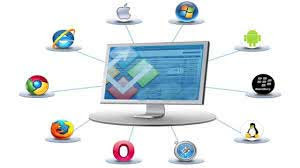 System software is a collection of operating systems; device drivers, servers,windowing systems and utilities. System software is the communicator of user and hardware. Application software consists of standalone programs that solve a specific business need. Business software, databases and educational software are some forms of application software. Different word processors, which are dedicated for specialized tasks to be performed by the user, are other examples of application software. This software comes in forms of tools that assist a programmer in writing computer programs. Computer programs are sets of logical instructions that make a computer system perform certain tasks. The tools that help the programmers in instructing a computer system include text editors, compilers and interpreters. These software ranges from astronomy to volcano-logy, from automotive stress analysis to space shuttle orbital dynamics and from molecular biology to automated manufacturing. This software is used in various aspects of engineering examination, scientific experiments and calculations etc. Embedded software resides within a product to perform some specific tasks. Such as the button control pad of microwave oven, the display controller, fuel controller of an automobile, secure gate pass of an elevator or lift etc. Software that are designed to use by many different customers. Product-line software can focus on a limited marketplace such as inventory control products or address mass consumer markets such as word processing, spreadsheets, graphics etc. Web applications are online software. These software work through web sites mainly. These applications not only provide standalone features but also integrated with corporate databases and business applications. A software makes use of nonnumerical algorithms to solve complex problems that are amenable to computation or straightforward analysis. Application within this area includes robotics, expert systems, pattern recognition, game playing etc. Utility Software with 5 Example. (1) A special method of distributing and installing software (or software upgrades) to a computer. For example, on a Macintosh computer, a package usually means "software." It's specifically a directory, presented as a single file, that contains all the information the Mac OS X Installer application needs to install your software. That includes the software itself, as well as files that are used only during the installation process. 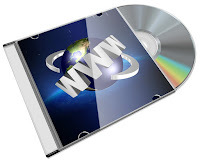 In a Windows environment it is sometimes called an installation package or update package. (2) Multiple software programs that work together (or performs similar functions) and is bundled and sold together as a software package. (3) Term used to describe software that is bunched together making a complete set. For example, Microsoft Office is packaged software that includes many software programs that may be used in the office, such as Microsoft Excel, Microsoft Word and Microsoft Access. Software Development Life Cycle Phases. 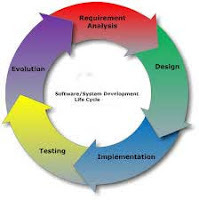 are-Software life cycle models describe phases of the software cycle and the order in which those phases are executed. Each phase produces deliverable required by the next phase in the life cycle. Requirements are translated into design. Code is produced according to the design which is called development phase. After coding and development the testing verifies the deliverable of the implementation phase against requirements. 6. Requirement gathering and analysis. Business requirements are gathered in this phase. This phase is the main focus of the project managers and stake holders. Meetings with managers, stake holders and users are held in order to determine the requirements like; Who is going to use the system? How will they use the system? What data should be input into the system? What data should be output by the system? These are general questions that get answered during a requirements gathering phase. After requirement gathering these requirements are analyzed for their validity and the possibility of incorporating the requirements in the system to be development is also studied. Finally, a Requirement Specification document is created which serves the purpose of guideline for the next phase of the model.  computerized parts inventory systems. From a technical standpoint, DBMSs can differ widely. The terms relational, network, flat, and hierarchical all refer to the way a DBMS organizes information internally. The internal organization can affect how quickly and flexibly you can extract information. Requests for information from a database are made in the form of a query, which is a stylized question. For example, the query SELECT ALL WHERE NAME = "SMITH" AND AGE > 35 requests all records in which the NAME field is SMITH and the AGE field is greater than 35. The set of rules for constructing queries is known as a query language. Different DBMSs support different query languages, although there is a semi-standardized query language called SQL (structured query language). Sophisticated languages for managing database systems are called fourth-generation languages, or 4GLsfor short. 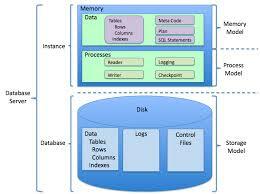 The information from a database can be presented in a variety of formats. Most DBMSs include a report writer program that enables you to output data in the form of a report. Many DBMSs also include a graphics component that enables you to output information in the form of graphs and charts. 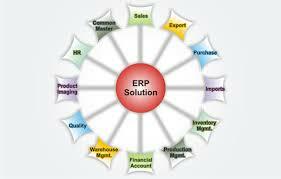 Enterprise Resource Planning (ERP) Software.  Product planning, cost and development. ERP provides an integrated real-time view of core business processes, using common databases maintained by a database management system. ERP systems track business resources cash, raw materials, production capacity and the status of business commitments: orders, purchase orders, and payroll. The applications that make up the system share data across the various departments (manufacturing, purchasing, sales, accounting, etc.) that entered the data. ERP facilitates information flow between all business functions, and manages connections to outside stakeholders. Organizations consider the ERP system a vital organizational tool because it integrates varied organizational systems and facilitates error-free transactions and production. However, ERP system development is different from traditional systems development. ERP systems run on a variety of computer hardware and network configurations, typically using a database as an information repository. 1. Primary Memory / Volatile Memory. 2. Secondary Memory / Non Volatile Memory. 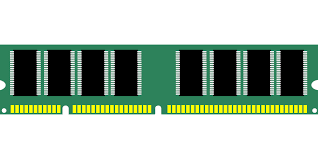 The primary storage is referred to as random access memory (RAM) because it is possible to randomly select and use any location of the memory directly store and retrieve data. It takes same time to any address of the memory as the first address. It is also called read/write memory. The storage of data and instructions inside the primary storage is temporary. It disappears from RAM as soon as the power to the computer is switched off. The memories, which lose their content on failure of power supply, are known as volatile memories .So now we can say that RAM is volatile memory. There is another memory in computer, which is called Read Only Memory (ROM). Again it is the ICs inside the PC that form the ROM. The storage of program and data in the ROM is permanent. The ROM stores some standard processing programs supplied by the manufacturers to operate the personal computer. The ROM can only be read by the CPU but it cannot be changed. The basic input/output program is stored in the ROM that examines and initializes various equipment attached to the PC when the power switch is ON. The memories, which do not lose their content on failure of power supply, are known as non-volatile memories. ROM is non-volatile memory. There is another type of primary memory in computer, which is called Programmable Read Only Memory (PROM). You know that it is not possible to modify or erase programs stored in ROM, but it is possible for you to store your program in PROM chip. Once the programmers’ are written it cannot be changed and remain intact even if power is switched off. Therefore programs or instructions written in PROM or ROM cannot be erased or changed. This stands for Erasable Programmable Read Only Memory, which overcome the problem of PROM & ROM. 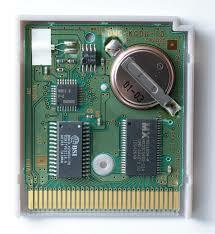 EPROM chip can be programmed time and again by erasing the information stored earlier in it. Information stored in EPROM exposing the chip for some time ultraviolet light and it erases chip is reprogrammed using a special programming facility. When the EPROM is in use information can only be read. faster and larger than it really is. It is also very expensive to have bigger size of cache memory and its size is normally kept small. The CPU processes data and instructions with high speed; there is also movement of data between various units of computer. It is necessary to transfer the processed data with high speed. So the computer uses a number of special memory units called registers. They are not part of the main memory but they store data or information temporarily and pass it on as directed by the control unit. 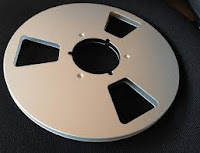 Magnetic tapes are used for large computers like mainframe computers where large volume of data is stored for a longer time. In PC also you can use tapes in the form of cassettes. The cost of storing data in tapes is inexpensive. Tapes consist of magnetic materials that store data permanently. It can be 12.5 mm to 25 mm wide plastic film-type and 500 meter to 1200 meter long which is coated with magnetic material. The deck is connected to the central processor and information is fed into or read from the tape through the processor. It’s similar to cassette tape recorder. You might have seen the gramophone record, which is circular like a disk and coated with magnetic material. Magnetic disks used in computer are made on the same principle. It rotates with very high speed inside the computer drive. 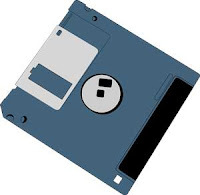 Data is stored on both the surface of the disk. Magnetic disks are most popular for direct access storage device. Each disk consists of a number of invisible concentric circles called tracks. Information is recorded on tracks of a disk surface in the form of tiny magnetic spots. The presence of a magnetic spot represents one bit and its absence represents zero bit. The information stored in a disk can be read many times without affecting the stored data. So the reading operation is non￾destructive. But if you want to write a new data, then the existing data is erased from the disk and new data is recorded. For Example- Floppy Disk.  Lines of Credit & Segregated Lines of Credit.  Investments (Includes retirement plans).  Point of Sale (POS). Use of computer in cash management. usage of cash. It involves assessing market liquidity, cash flow, and investments. customers are given cash management services. bills, and certificates of deposit. Every company run on the different type of data following diagram and everyone has to follow this data for running the company so it’s necessary for everyone to understand the big data of their company. For this purpose company hires the data scientist for making their data shorter or in a visual form which can be easily understands by the every people of the company activewizards.com/. i am quite dum with these kind of things i needed to project my data for custom thesis writing but i did not know anything about it. your post not only makes me understand but also guides me to it.